Life is about to get a little bit easier for UK motorists as the government is applying a number of changes to current parking regulations, including an end to CCTV 'spy cars'. Parking enforcement has often come under fire lately with car owners and motoring bodies expressing concern that local authorities are enforcing parking rules over zealously in a bid to raise revenue rather than to manage traffic and road safety. 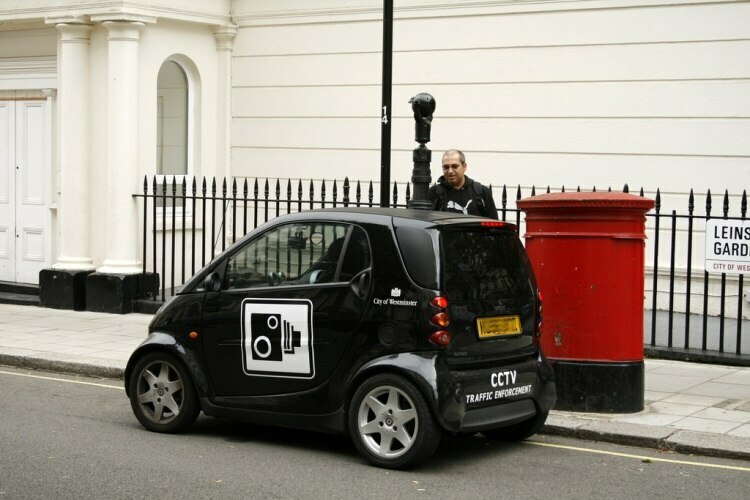 At the moment CCTV camera cars can be spotted filming parked cars and searching for transgressions to record, with the unwitting car owner later receiving a ticket by post. Under the new regulations CCTV spy cars will be restricted to certain 'safety areas' such as bus lanes, red routes and outside schools. Elsewhere parking policy will be enforced by wardens and offending vehicles will have a ticket fixed to the windscreen. The changes are being brought about due to the Deregulation Bill currently making its way through Parliament. A public consultation over a three month period has identified a number of areas in which motorists feel they could be getting a fairer deal, which are now under consideration by Parliament. One issue raised in the Bill is the appeals system for parking fines. If new regulations come into play, a trial scheme will be introduced to give drivers a discount on fine payments of 25% after an unsuccessful appeal, while appeal applicants will also receive additional guidance on how to reclaim their costs. Currently drivers who lose an appeal against a parking fine are obliged to pay the full amount. Parliament will also freeze the current fine levels for the remainder of its term and introduce a grace period of ten minutes after a paid for or free parking period has ended. Parking wardens will not be permitted to use heavy handed tactics which could intimidate drivers and drivers who park in areas where the meter is out of order will not be fined unless there is another way to pay. Parking adjudicators are to be given extra powers which would allow them to instruct local authorities to improve road signs or to stop fining drivers at trouble spots. Councils will also be subject to greater transparency regarding how the revenue raised from parking fines is spent. They will be obliged to publish details of the spending, which will be subject to review at the requests of residents in the area.